Without having to advertise a product no one shall ever know its availability in the market and expertise of it, therefore marketing and advertisement of the brand/product is mandatory and as much important as creating the thing itself. In order to come into the consideration of the masses, some measures are to be taken (it varies from low to high budget). The more one invests in way of the product’s advertisement the more chances are there of its approval. Making people familiarize with the brand is often a hardest nut to crack ever since many products are hitting earth every now and then and it is difficult to keep a check which brand or its product is actually doing good. Also people use public forums & other networks to manifest their merchandises so more and more eyes get accustomed to it and grab it when they can. Big companies love to flaunt about their business all through various print and electronic media channels. Especially advertisement of the billboards, hoardings, travelling busses and also on television channels are pertinent are much rehearsed by the owners. The more repetitive the process is, the more viewership it will attain. 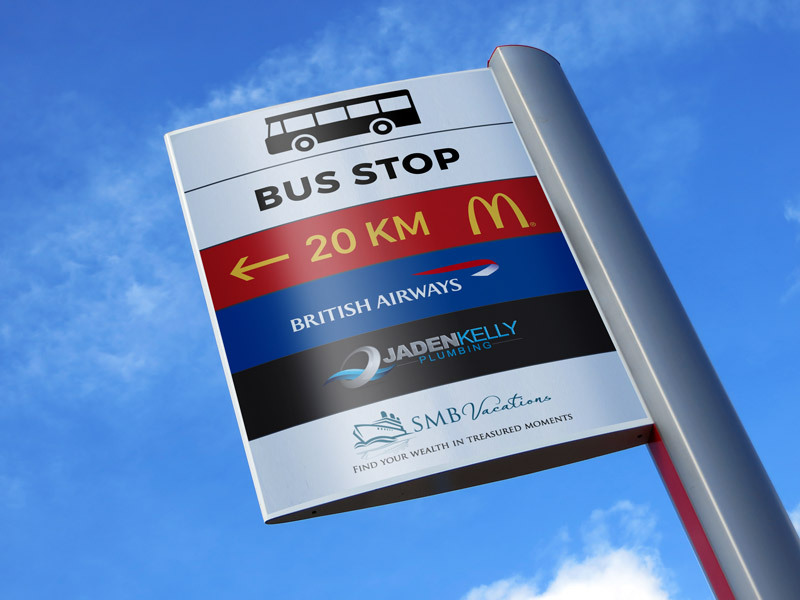 Today my post is dealing with it, down here I am putting forward a free outdoor advertising pylon pole sign mockup, in which designers can insert in their client’s advertisement. This is basically a direction sign that are placed like a lamppost on the road, people even from a greater distance can locate store/mall/brand outlet. It is a very meaningful way which is communicative enough to hit across heads. Make sure that the advertisement you make to display on it should be striking, also a bold font having a colorful text is cool to grab attention. For more design assortment let yourself get clanged to the blog, we have something really helpful coming your way. We design freebies to accommodate designers’ around the globe. Believe it or not, your feedback is always overwhelming and motivating. Here we go.